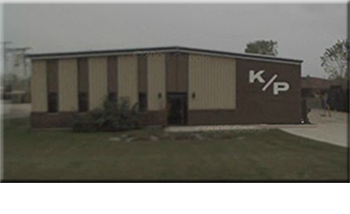 About K/P Welding & Fabricating, Inc.
K/P Welding & Fabricating was established as a job shop/metal fabricator in 1968. Over the past 40 years, we’ve continually expanded our services and capabilities to meet the changing needs of our customers. 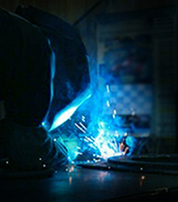 Our employees have an average of 15 years experience in their areas of expertise. With an expansive 30,000 sq. ft. workspace, an internal quality control system along with in-house trucking for delivery convenience, K/P has the capabilities and skills to get the job done. K/P Welding and Fabricating, Inc. is proud to be a part of the Sheboygan community and is dedicated to supporting local charities and causes. Here are some examples of how K/P employees have donated time, talents and materials to help others in the community. When you enter the brand new Meals on Wheels facility in Sheboygan, one of the first things you’ll see is an 8 foot fork hanging in the vestibule. 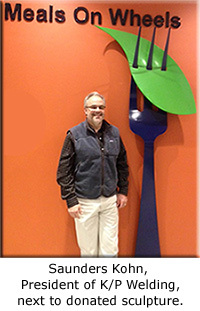 The fork and leaf are part of Meal's new "fresh" logo. This dramatic sculpture was gifted to Meals on Wheels by K/P Welding and Fabricating. The sculpture was designed and created by employees of K/P. K/P Welding and Fabricating was proud to donate time and materials for the Rotary Clubs of Sheboygan’s first-ever holiday lights show, "Making Spirits Bright." 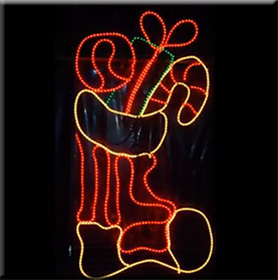 This drive-through holiday lights show was created to raise money on an annual basis for the Sheboygan County Food Bank. 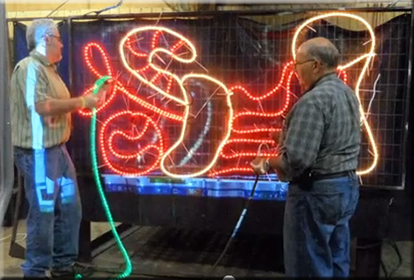 View video of Rotary members working on stocking display at K/P Welding and Fabricating.